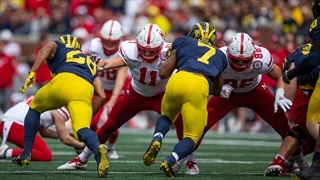 Nebraska has had a rough go of it in the trenches over the last couple of weeks including the 56-10 loss to Michigan on Saturday, but offensive line coach Greg Austin said he's seeing progress. WATCH: You're Still There, Right Nebraska Fans? Hey, Nebraska fans - You're still there, right? Scott Frost said it was going to get worse before it got better, even if we didn't really listen. It will get better though. Until it does? 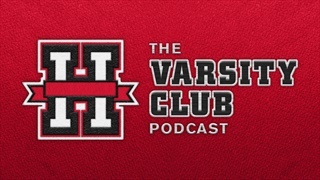 Hail Varsity's No Huddle returns to make us all feel a little better. 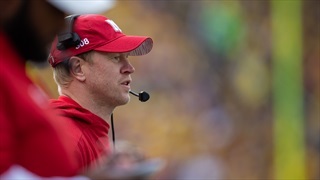 Scott Frost said Monday that a majority of the team is frustrated by the start to the season. He isn't sure it's 100 percent yet though, which is a big issue. 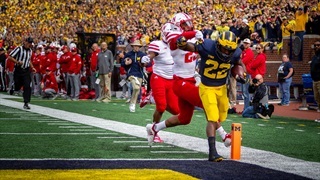 Michigan exposed Nebraska on Saturday and some of the Wolverines' biggest plays show just how far the Huskers have to go in every phase of the game. So, what now? 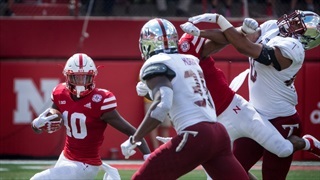 The Hail Varsity staff has three more takeaways from the Huskers' third straight loss to begin the Scott Frost era. 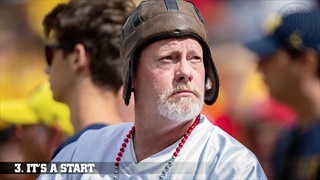 It isn’t always immediately apparent that fundamentals are lacking in a football team. 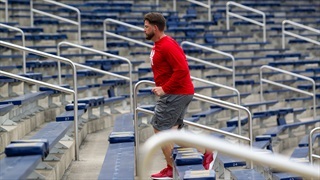 But for Nebraska's coaches and players, there is a reason “the little things” continue to come up. 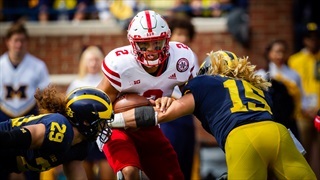 Nebraska players addressed the media on Saturday following the Huskers' loss to the Michigan Wolverines, 56-10. 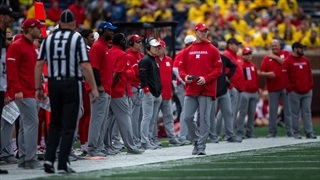 Did Michigan Remember Frost's 2016 Comments? Well, 56-10. 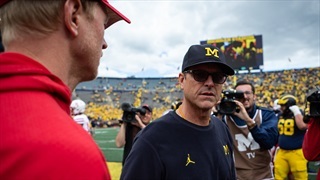 "I think we outhit them today," Michigan defensive lineman Chase Winovich said, echoing Scott Frost's comments from his last trip to Ann Arbor. "I’m interested to see if he has a different opinion on it." Nebraska coach Scott Frost addressed the media on Saturday following the Huskers' loss to the Michigan Wolverines, 56-10. 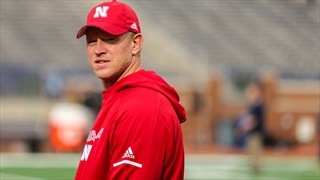 Maybe "buy-in" was the easy part with Scott Frost's transition to Nebraska. Maybe it was too easy. After losing 56-10 to Michigan on the road, Scott Frost doesn't see it getting worse for Nebraska. He and his players instead seeing it only going up from here. 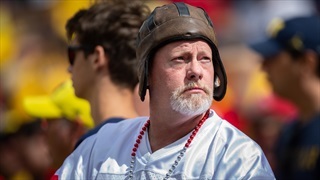 Check out all the fan photos from Nebraska football game against Michigan in our photo gallery by photographers John S. Peterson and Ryan Loco. 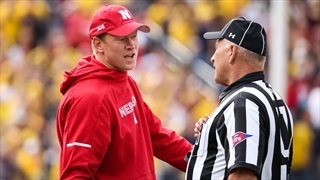 Scott Frost met with the media on Saturday to discuss Nebraska's 56-10 loss to Michigan. Scott Frost said it would get worse before it got better. It got worse. 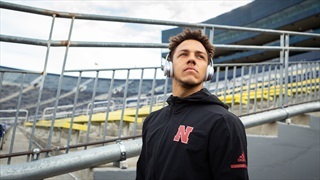 After missing last week's game against Troy with an injury suffered against Colorado, Nebraska's starting quarterback is back for the Huskers' Big Ten opener. 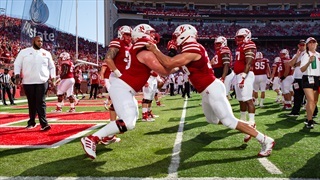 Nebraska (0-2) has released its travel roster ahead of a Saturday morning matchup with No. 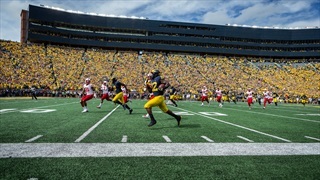 19 Michigan (2-1). 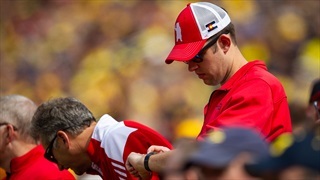 Nebraska (0-2) is in Ann Arbor, Michigan, to face Michigan (2-1) to give off the Huskers' Big Ten schedule. 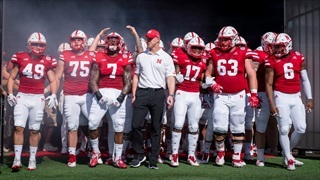 The game is set to kick off at 11 a.m. CT.
Nebraska opens its Big Ten schedule in Ann Arbor against Michigan on Saturday. It's the Huskers' first road game of the 2018 season. 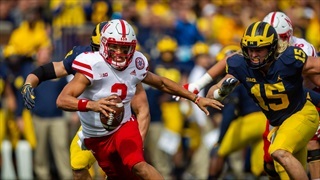 Nebraska's offense has put up good efficiency numbers through two games under two different quarterbacks, but there's still something missing and it will be key against a tough Michigan defense. The Athletic's Michigan man, Cody Stavenhagen, joins the podcast to tell us all what's waiting for Nebraska in Ann Arbor. Erin Sorensen also joins and the whole thing goes off the rails.